Spencer’s has chosen to differentiate by establishing itself as the preferred shopping destination for young customers looking for a range of quality products that allows them to indulge in a global lifestyle, yet at affordable prices. It’s brand image of - Makes Fine Living Affordable stands - testimony to this philosophy. From daily to weekly to specialty shopping, Spencer’s strives to fulfill every need and provide maximum convenience. 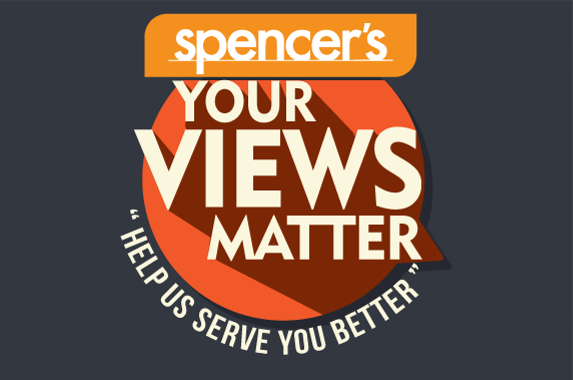 Quality – Quality is a major reason why Spencer’s is well-regard by it’s shoppers. Spencer’s lays a huge emphasis on all-round quality in products, stores, service standards, and customer engagement programs. It’s “Quality since 1863” tagline has stood the test of time. Heritage – Spencer’s is India’s oldest retailer tracing its roots back to1863. The brand has many firsts to it’s credits. Innovations/Specialty – In Spencer’s hypermarkets, the shopper can find specialty sections such as a live bakery, the patisserie, a nut’s counter, a dedicated wine & liquor section, and Epicuisine. Promotions – Spencer’s seek to offer the right products at the right time at the right price, with promotions carefully designed to suit the needs and wants of the consumers monthly, weekly and daily shopping basket. Brand Imagery – Spencer’s stores have contemporary and international interiors, and it's extensively trained staff strive to make customers feel at home while they shop, with a welcoming and trusted attitude.